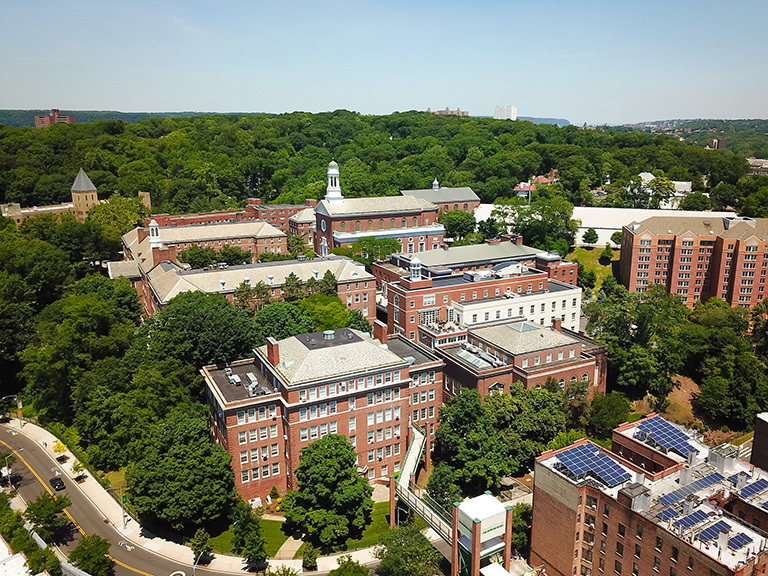 Accounting students in Manhattan College’s O’Malley School of Business are lending their tax expertise to the Northwest Bronx’s University Neighborhood Housing Program (UNHP) for the 10th straight year. Through UNHP’s program, the Manhattan students team up with other college students from across the Bronx to work with neighbors on their annual tax returns. Since 2010, student volunteers have filed taxes for more than 10,000 families at UNHP through the IRS Volunteer Income Tax Assistance program, known as VITA. 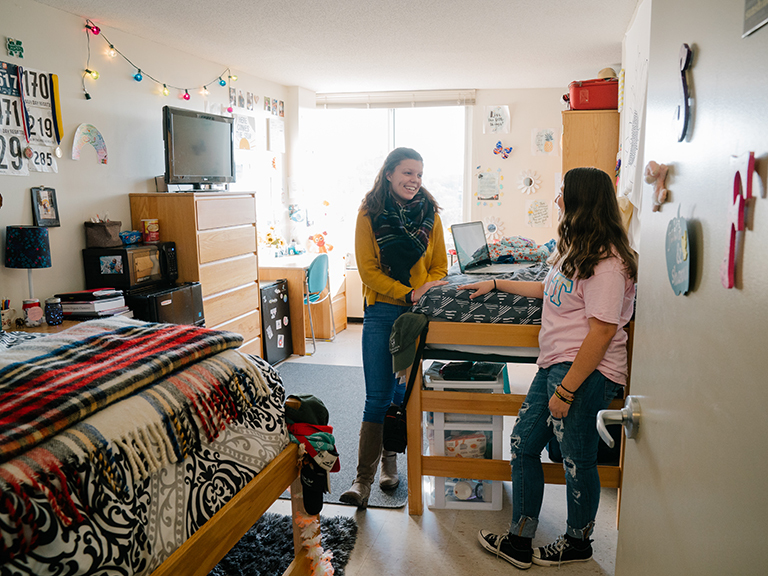 In 2018, more than 40 Manhattan College students worked with the program’s volunteers to prepare more than 1,400 returns. The students helped Bronx residents receive $1.9 million in state and federal refunds, with the preparations done free of charge, helping filers avoid predatory tax services. In preparation for the volunteer program, the Manhattan students must take an IRS certification course and software training, where they prepare sample returns. 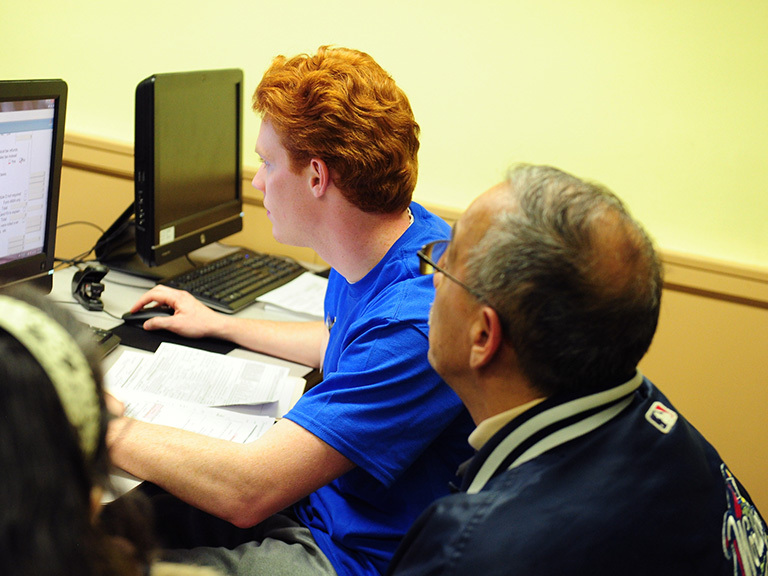 The students also have to learn about New York State filing and Tax Wise, a tax and accounting software used by tax professionals and accountants to file tax returns. For the 2019 tax season, UNHP free tax preparation is available by appointment on select Wednesdays from 1 p.m. to 6 p.m. and Saturdays from 10 a.m. to 4 p.m. through April 10 at the Northwest Bronx Resource Center at Refuge House – 2715 Bainbridge Avenue, Bronx, NY 10458. For more information, contact UNHP at (718) 933-2539. The O’Malley School of Business provides an intimate classroom environment with all the opportunities of New York City — a global hub for finance, fashion, marketing and technology.